You don't have to sacrifice style just because you're traveling light. If you choose to scrimp on your trip by not adding a baggage allowance to your ticket, well done—that was a brave move. Or maybe you're going on a short trip and don't want the hassle of checked-in luggage. 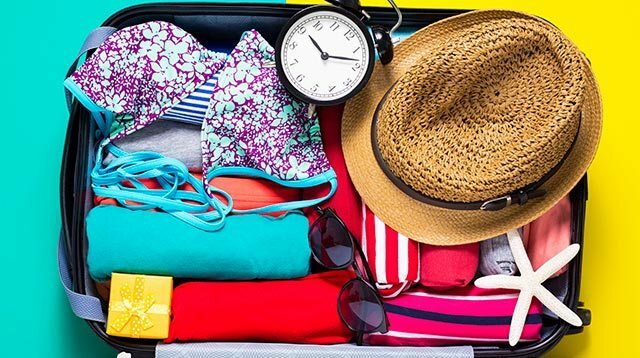 Whichever situation applies to you, here are five pointers to keep in mind if you're only traveling with a carry-on bag. Avoid haphazardly throwing in your clothes at the last minute—this runs the risk of you bringing unnecessary things. Instead, take the time to choose your outfits in advance to streamline your travel wardrobe. Additionally, once you already have a general idea of where you'll go and what activities you'll do, use that to pre-plan your OOTDs. There's no point bringing your sequined cocktail dress if the nightlife at your destination is actually pretty casual; in a similar way, you wouldn't want to bring hubadera pieces if you're going to a city with a conservative dress code. If you can, plan your outfits around a specific color palette. Neutral shades are always a good idea, since they'll more or less all work together. Consider styles that work for both day and night, too. Another great shortcut? Dresses—you won't have to pack separate tops and bottoms with these in your bag. Most airlines have a maximum weight limit of 7kg (15lbs) for carry-on bags, so you need to be strategic about the things you pack. One way of getting around that rule? By bringing ultra-light pieces that won't weigh down your case. Of course, this only applies if you're going somewhere hot—if you're traveling during winter, expect your coat and thick layers to add bulk to your bag. When packing, roll your clothes instead of folding them. You'll find that you have more space to work with when you do this. You can also squeeze in more into nooks and crannies by rolling your clothes! Your trusty denim jacket, your favorite pair of jeans, your white sneakers—don't even think of putting them in your bag. Instead, wear TF out of your heaviest travel must-haves and incorporate them into your plane outfit. And if you can travel with just one pair of shoes, go! Otherwise, wear your heavier pair and pack a light or foldable style in your bag.